Settle in for an afternoon of sheer indulgence with our degustation-style High Tea experience. A progression of late lunch into afternoon tea, enjoy traditional sandwiches, a selection of buttermilk and fruit scones and a choice of main course served to your table on exquisite Noratake China. You will then be treated to the decadent Rialto Precinct Dessert Trolley, featuring heavenly cakes from the kitchens of renowned local venues such as Vue de Monde, Le Petit Gateau and Merchant. Behind one of Melbourne’s most famous facades InterContinental Melbourne The Rialto is an evocative blend of 1890s Victorian Gothic architecture and sophisticated contemporary design. Hosted in the sun-drenched Alluvial atrium, enjoy The Clarke Sisters’ Tea Party with your intimate dining experience being accompanied with a glass of delicate Perrier- Jouët Champagne or a deconstructed Champagne Cocktail. Step into the high society world of the Clarke Sisters. These ladies would often be found spending lavish afternoons swapping stories over fine china teacups. Miss Emma Clarke married Patrick McCaughan who commissioned the original Rialto building which is now the west or Rialto wing of the hotel. After Miss Emma’s untimely passing, the undeterred Patrick went on to marry her sister Miss Margaret Clarke. Miss Margaret had a beautiful daughter Caroline with whom this tradition of decadent High Teas continued. 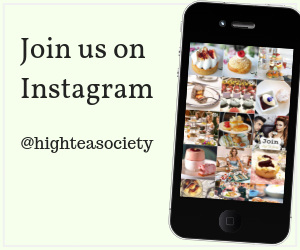 Our High Tea is available every Saturday and Sunday. To make the most of your intimate experience we offer 5 sessions each day limited to 10 people each. Please be advised that High Tea is only available to guests over the age of 16 years. Learn about the High Tea at InterContinental Melbourne The Rialto. New year, new high tea offerings at the InterContinental Melbourne The Rialto. 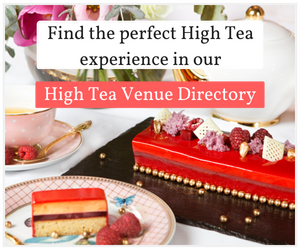 Melburnians are well-known for their love of coffee, so it comes as no surprise that a venue has given the high tea concept a thoroughly Melbourne twist and introduced high coffee. The High Tea Society team visited the InterContinental Melbourne The Rialto for High Coffee – and found a unique take on the classic afternoon tea that meets Melbourne’s love affair with coffee. On Wednesday the 5th of October 2011 fashionable society ladies (and a few men) gathered for high tea at the InterContinental Hotel in Melbourne to support Special Olympics Victoria.